I walked past an Anthropologie store in New Orleans this week and was mortified to see their store windows decked out in some bad reproductions of Mark Rothko's work and they were calling it and their new collection as "Abstract Expressionism." 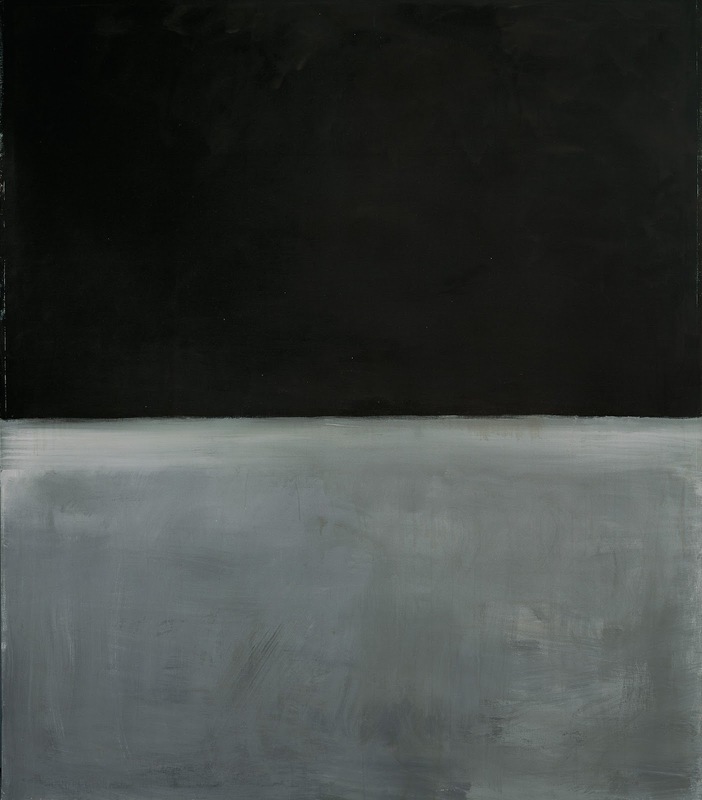 I can sense that Rothko would have been mortified by not only his being classified as an Abstract Expressionist, let alone being the pivot point of a marketing ploy to sell overpriced, unattractive crap. Rothko was a Russian emigre whose family fled the last gasps of the Czarist pograms as the Bolsheviks conducted a bloody coup over the Romanov autocracy. He and his family barely escaped Russia with their clothes on their backs. 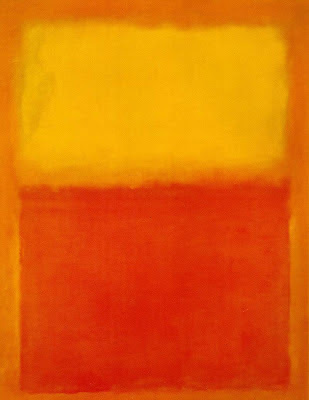 The Rothko family was fortunate to escape while they could and so they ended up in New York and then later moved onto the Pacific Northwest. The Rothkos (nee Rothkowitz) family suffered mightily. They were poor but they managed to keep it together despite their circumstances. By all accounts, Mark Rothko was brilliant and he ended up at Yale. In the 1930s he started to paint, and his subjects shifted from the Cubist/ Primitivist styles of his contemporaries to something utterly new. 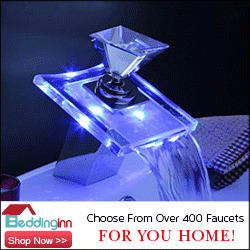 By the time the 1950s rolled around he was breaking new ground with a perspective that came to be called "multiforms." These multiforms were in essence individual photons of light, the smallest part of an artistic vision. Take a look at these paintings and imagine what he was looking at when he painted them. 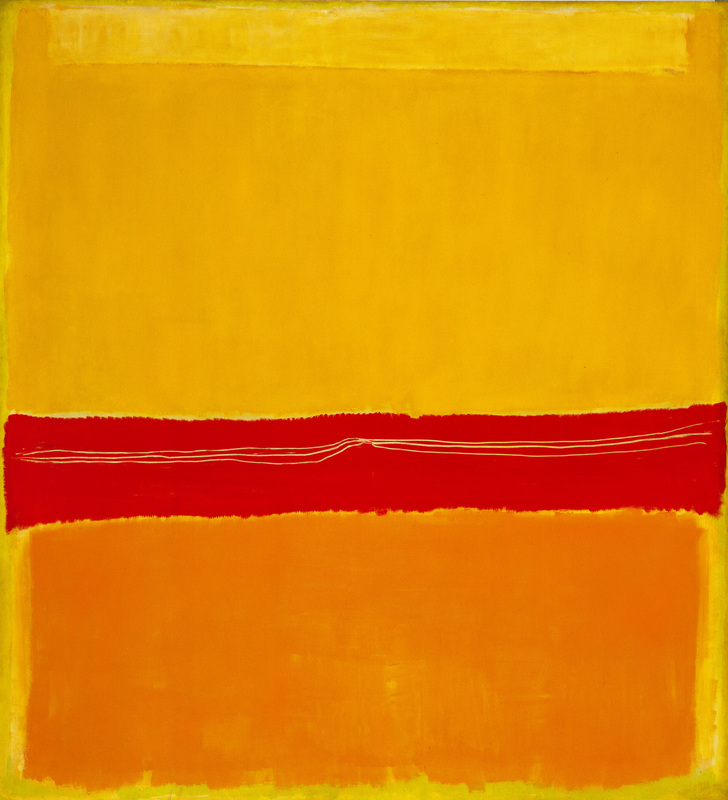 That imagining is the whole point of Rothko's work. It makes me want to look at the parts that make up everything. No one had ever painted that way before and he pioneered the very thought of a pixel. He was painting in the 1950s something many of us take for granted now. So what does any of this have to do with Anthropologie? Nothing, that's what. How do the get from this great, thoughtful art to this thing? This sofa's offensive because it's hideous for starters. It's doubly offensive for its $3200 price tag. What makes it trebly offensive is Anthropologie's attempts to sell this crap off the back of Mark Rothko. Don't buy into it. An ugly sofa is an ugly sofa, despite the marketing hoo-hah that surrounds it. There is nothing about a sofa with that price tag that harkens back to anything but bad taste. Enough, enough, enough. I have no problem with $3200 sofas, provided they're well made and look like something other than a trail of cat sick. But asking people to spend that kind of money on a piece of furniture that's purposefully ugly and is being hawked by using one of the greatest minds of the 20th Century is just plain wrong. What do you think? 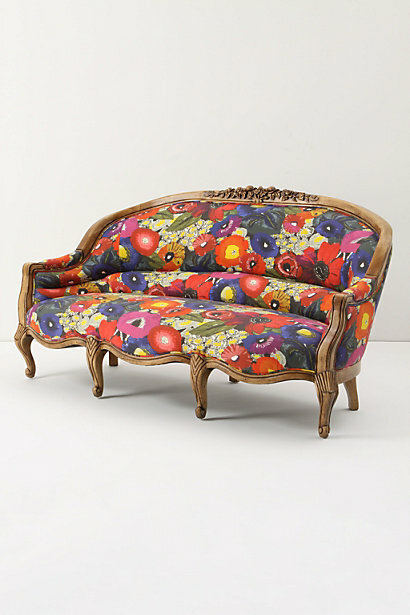 Would a sofa that looks like this and with this kind of back story ever figure into your home? "Overpriced, unattractive crap". Thank you, thank you, thank you, Paul, for calling a spade a spade! Vancouver got an Anthropologie store in 2011 and, because of all the great comments I'd heard online about Anthropologie, I was really looking forward to checking in out. My sister and I walked in, took one look at the junk they were selling and walked back out again. And to have the audacity to try to sell that hideous piece of furniture by associating it with someone of real talent is a crime. They should be ashamed of themselves. You are welcome. What bothers me most is that they wouldn't offer the things they do if people didn't buy them. Thank you for making me laugh uncontrollably in my favourite restaurant. They'll be locking the doors the next time they see me coming! Thank you for starting with the important part - it's hideous! Please don't insult my cat's vomit my associating it with that sofa. Thank you for calling out Anthropologie. It do not get the store at all, it is like a garage sale or flea market with a storefront. Sloppy, kitchy and for those who take an affront to the Made in China products - um well this is where to find them. This is the dumbing down of Shabby Chic. 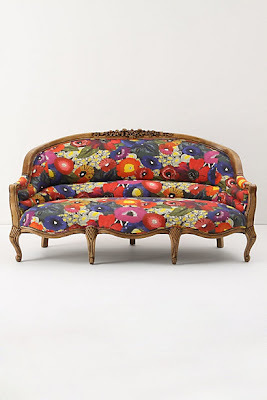 As a patterned fabric lover, I get it but this is the case of wrong fabric on wrong sofa. Just because someone makes or sells something doesn't mean it is a good thing.